Question (1961)—Why should God’s people still pray, “Thy kingdom come” (Matt. 6:10), when over 1900 years ago Jesus told His disciples to preach to the people that: the kingdom of heaven is at hand” (Matt. 10:7)? Answer.—When Jesus commissioned His twelve Apostles to preach, “The kingdom of heaven is at hand,” He evidently did not mean that they were to announce that He and the Church were about to reign over the earth, for the Kingdom in this sense is still future. A careful study of the expressions, “Kingdom of heaven,” and “Kingdom of God,” as used in the Scriptures, will show that they mean the rulers whom God will have as His Vicegerents, exercising His authority among men in the Millennial Age. In other words, Jesus and His faithful Little Flock are meant by these expressions (Matt. 5:3, 10; Mark 10:14). These expressions are Biblically used of Jesus and the Church from a twofold standpoint. In some passages they refer to them during their earthly lifetime, while undergoing suffering and opposition from the world, the flesh and the devil. This sense of these terms is fairly synonymous with the term, The Church Militant. In other passages these expressions refer to them in their heavenly existence, during their glorious reign over the earth. In this sense these terms are fairly synonymous with the term, The Church Triumphant. In its condition in the earthly lifetime of its members the Church is often called the embryonic, or suffering Kingdom; and in its heavenly condition during the Millennium it is called the born, or glorified Kingdom. At His First Advent our Lord instructed His disciples to preach that a change of dispensation had come, that instead of preaching Moses and the Prophets any longer, they were to preach the Kingdom of God, the embryonic Church (Luke 16:16). And it was at hand; it was begun by Jesus in His ministry, was continued by the Apostles at Pentecost, was advanced further at the home of Cornelius as it went forth to the Gentiles, and throughout the Jewish Harvest was advanced still more. All through the Gospel Age this suffering Kingdom has been at hand, and many have entered into it, and amid trials and tribulations have been fitted to reign with Jesus as the glorified Kingdom soon to be established in its reign upon earth (Rom. 8:17; 2 Tim. 2:12; 1 Pet. 4:13; Rev. 5:10). It was the embryonic, or suffering Kingdom, to which our Lord referred when He said that from the time of John the Baptist the Kingdom of Heaven suffers violence, and that the violent forcibly seize it (Matt. 11:12). It is only because of the fact that the Kingdom class will, after being perfected, reign in the earth, and for that reason only, that they are called The Kingdom while in the flesh. Kingdom—Of God & Kingdom Of Heaven. Question (1977)—Is there a great deal of difference between the meaning and use in the Bible of the expressions “kingdom of God” and “kingdom of heaven”? Answer.—One writer endeavors, but signally fails, to prove that the expression “kingdom of God” means a kingdom in men’s hearts and that the “kingdom of heaven” means the Millennial Kingdom. While many make the great mistake of ignoring dispensational statements of truth, and hence do not rightly divide the Word of Truth (2 Tim. 2:15), we believe it to be equally erroneous to go to the opposite extreme, and try to make dispensational differences where none really exist. It is difficult to estimate which of these extremes is the more injurious to the Truth. To sustain his theory, this writer claims that Matthew’s is “the Jewish gospel,” while the others, especially John’s, are “the Christian gospel.” What absurdity! Were not these writers—Matthew, Mark, Luke and John—merely historians? Did they not merely witness and record the things, which Jesus said and did? How, then, could one write a Jewish gospel and another a Christian gospel? The usual view is that each of these Evangelists wrote independently of the others, except John, whose gospel is supposed to have been written partly to supply points remembered by him, especially those which had been omitted by the others. Each writer wrote in his own style, and under Divine inspiration used some license in the choice of words, hence no two give their accounts exactly in the same words. Luke 19:11, 12: “Because they thought that the kingdom of God should immediately appear, he said therefore, A certain nobleman went into a far country to receive for himself a kingdom, and to return” (for a full treatise on this, please see BS 290—a copy free on request). Matt. 13:31: “The kingdom of heaven is like to a grain of mustard seed.” In the parallel passages, Mark 4:30, 31 and Luke 13:18, 19, only “the kingdom of God” is used. Matt. 19:23; “A rich man shall hardly enter into the kingdom of heaven.” In the next verse (v. 24), we have proof that Matthew used the expressions interchangeably, for he there says “kingdom of God.” And in the parallel passages, Mark 10:23-25 and Luke 18:24, 25, only the expression “kingdom of God” is used. 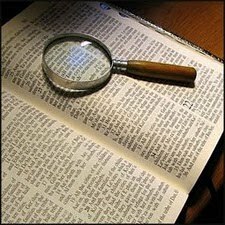 While more evidence could be given, we believe the above is sufficient to convince any unprejudiced mind that the terms “kingdom of God” and “kingdom of heaven” are used interchangeably in the Scriptures and refer to one and the same thing. But in support of the theory noted above, it is argued: “How else can the Church during the Gospel Age, in its time of suffering, be the kingdom of God, and also be the kingdom in a still different sense during the Millennial Age—unless the Gospel-Age Church be called the kingdom of God, and the future the kingdom of heaven?” We answer, No such distinction is needed. The Church during the Gospel Age is the Kingdom only in the prospective sense; it might be spoken of as “an embryo Kingdom.” With its exaltation and the birth of the Spirit in the First Resurrection, it becomes actually and fully the Kingdom of God, the heavenly Kingdom, completely “set up” (Dan 2:44).